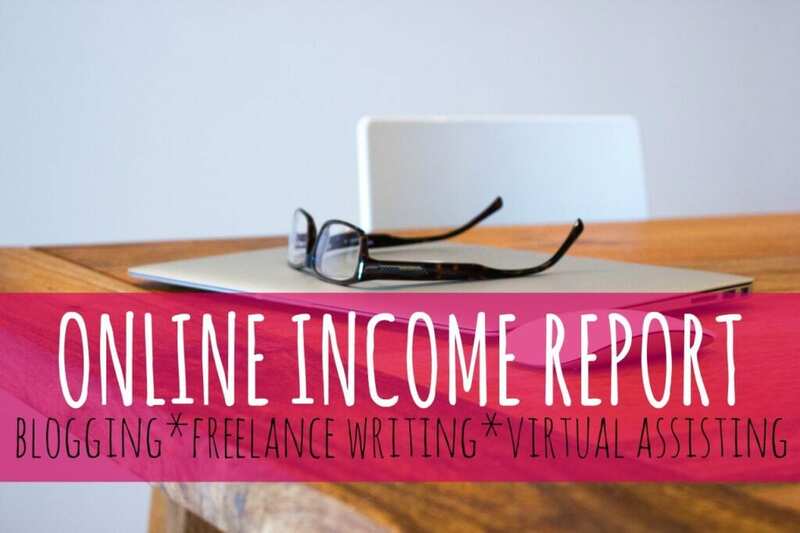 If you’re new here I’ve posted income reports ever since I started this blog, three years ago. I initially had goals of making a few hundred dollars per month and then slowly growing that amount. Luckily, that’s what I’ve been able to do. In 2012 I decided that earning money online was going to be the only way I could create the life I wanted living in a small town with no good job options. I dove in head first and started trying things out. I’ve failed at sooo many different things and have had great successes with others. Because of the way payments came in, income for April went back down to normal and then should go back up a little higher over the next couple of months. Domains and Web Hosting –Bluehost. If you’re interested in blogging but haven’t yet started you can get hosting from Bluehost for as little as $2.95 per month PLUS a free domain name when you go through this link which is just for my readers. If you need help getting set up you can find a step by step tutorial here. Social Media Scheduling – For Pinterest I use Tailwind. I started using this about a year ago with great results. Tailwind is affordable and super easy to use. You can get a free month of Tailwind with this link. I’m also subscribed to Hootsuite as I used to use this for scheduling my virtual assistant clients Twitter accounts. I still use it for mine. Although, truth be told I don’t really love it and could probably do without. For Facebook I just use the built in Facebook scheduler. Bookkeeping – GoDaddy Bookkeeping. I absolutely love this bookkeeping software. You can read my full review here. Photos – I find a good majority of my photos on Pexels. This site is free with copyright free images. If I can’t find one there I’ll buy an image off of 123rf.com or look for one on Haute Chocolate which I also have a subscription to. I use PicMonkey to edit all of my photos. Only do what you feel comfortable doing! It’s easy to look at what other people are doing and try to emulate the success they’ve had in a particular area but if it’s not something you’re comfortable with it’s probably not going to work. I personally turn down at least nine out of ten sponsored post opportunities that come my way because they make me feel uncomfortable. I could easily add another $1,000 or more per month if I was willing to write them, but I’m not. If the thought of putting advertisements on your side bar makes your stomach turn don’t do it. If the thought of writing and selling your own e-book makes you giddy, then give it a try. If the thought of writing sales emails make you sad, don’t do it. If you’ve found a great affiliate product that people would love, promote it. Do what feels “right” to you without paying any attention to what other people do or tell you to do. If you stick with blogging for more than a couple years (and sometimes it takes that long to make any kind of income) you’ll find that a lot of different opportunities will come your way. You don’t have to say yes to all of them. When it comes to monetization dive in and figure out what you don’t like so that you can quickly figure out what you do like and what works for your particular blog. All of that just to say don’t feel pressured to do something you’re not comfortable with and know that there’s a billion ways to make money online. Stay true to you. That’s what matters. Now that you know how I feel 😉 here are some links to some practical things you can to get started with an online business. Great to see your continued success. The variety of income streams is both impressive and motivating for newer bloggers like myself. So far I’m about 2 months into this but I’m enjoying seeing page views grow. I think it’s wise to just focus on creating content and and growing pageviews for the first several months. It took me around a year of doing that to bring in any type of significant income. Congrats on having a great month. My April was great. I’m looking forward to continuing the success in May. Awesome 🙂 Glad to hear your April was great! Where do you decide where to use Google Adsense and TBN and Media.net ads on your site? I have been seeing what works for you but can’t work out where your Google ads are!